The culture of extending the life of bad loans to big businesses and pretending nothing is wrong with them is proving too hard to end in India. Take Reliance Communications Ltd. After more than a year and a half of kicking the can down the road, the erstwhile Indian telecom operator is filing for bankruptcy. 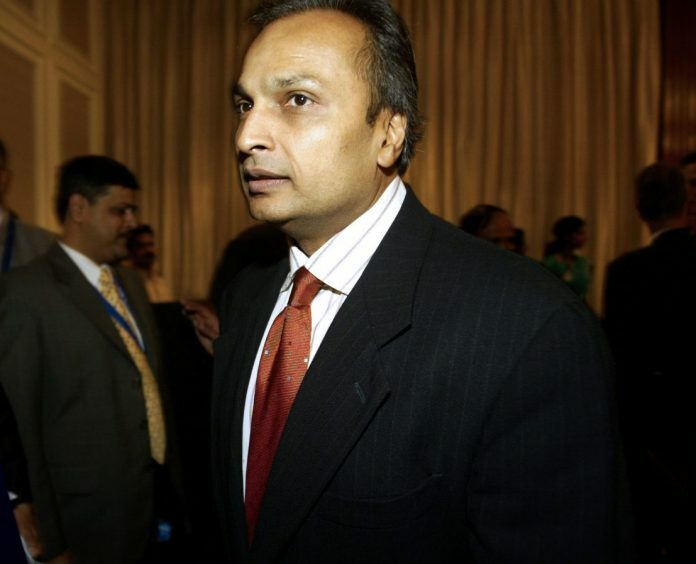 Even in March 2017, when RCom owed creditors $7 billion, it was clear that tycoon Anil Ambani’s telecom venture stood no chance in a crowded field against elder brother Mukesh Ambani’s shiny new 4G carrier, Reliance Jio Infocomm Ltd., and its offer of cheap data and free voice calls. Yet in June 2017, creditors decided to go along with an out-of-court restructuring, wherein RCom would merge its wireless carrier with rival Aircel Ltd.; sell its cellular towers to Canada’s Brookfield Infrastructure Group; swap some debt for equity; and deleverage. However, Aircel didn’t survive; RCom was forced to shutter its own mobile service; Brookfield developed cold feet; and creditors demurred from taking RCom equity after its share price collapsed. But even then, Indian banks didn’t knock on the doors of the bankruptcy courts. In December 2017, after the company had defaulted on a $300 million dollar bond, they backed a new plan by the younger Ambani brother to offload spectrum, towers, fiber and media convergence nodes to the elder sibling’s Jio. Together with commercial redevelopment of RCom’s Mumbai property, the proposal was supposed to lead to a decent recovery. This time last year, dollar bondholders expected to get back almost 70 cents on the dollar. However, 2018 went by with little progress on the 250 billion rupee ($3.5 billion) deleveraging plan. The spectrum sale didn’t go through because India’s telecom department wanted a guarantee for the fees it’s owed for the airwaves before they would allow a new owner. Jio balked at that demand. An additional complication was equipment provider Ericsson AB, an operational creditor that threatened to drag RCom into bankruptcy; won a settlement offer; but never saw any checks. Ericsson asked a court to put Ambani in civil prison. All this has made the bondholders pessimistic: the current market price of the notes, which a majority of investors agreed in August to restructure at a steep haircut, suggests recovery rates of 26 cents on the dollar. Even secured creditors of subsidiary GCX Ltd., which boasts the world’s largest privately owned undersea cable system, are jittery. Fitch Ratings has downgraded GCX’s dollar bond, due for refinancing this year, and said a default looks probable. With RCom entering bankruptcy, what it owes GCX may be impossible for the subsidiary to recoup. So far, family members of “promoters” —India’s term for controlling shareholders — were barred from bidding for their bankrupt firms without making banks whole first. But thanks to a recent court ruling, that ban now applies only to relatives involved in the business. Mukesh Ambani lost RCom to his brother as part of a 2005 division of their father’s empire; so he can play white knight. The legal process may take another nine months if everything runs like clockwork, which it seldom does in India. State-run lenders, having wasted so much time already, are answerable for their dithering. They beg the government to recapitalize them and whine when the regulator forces them to mark down soured exposures. But apart from harassing smaller businesses, what do they do to untangle capital and return it back to the economy? In addition to Ericsson, China Development Bank, and even the telecom firm’s PR agency had at some point sought to invoke insolvency proceedings. Only Indian institutions, with most to lose, stood still; and now they don’t even get to appoint a resolution professional of their choice to run RCom once it’s in bankruptcy. 3.Did the Banks reviewed the account periodically. 4.What were the comments of Directors from RBI,Govt,Work men and Officers? 5.What is the security for such a huge loan except”debtors”? Give this and similar cases a CASE STUDIES to IIM students and get a report . The idea behind getting him Dassault IOP was precisely to keep the drowning man afloat .It remains to be sen how things pan out and if the drowning man takes Modi too along with him. Reliance Power made a spectacular IPO, and then it fizzled out in value. The Group has been backing out of infrastructure projects. Some years ago, it made a completely unviable bid to build the trans harbour link in Bombay but the state government was kind enough not to compel it to take it up. Its power business in Bombay, bought from BSES, has been now sold to the Adanis. Reliance Communications was the only worthwhile business that came to Anil’s share in the family division, now in bankruptcy proceedings. A young man, in a tearing hurry. ADAG should not have been in the zone of consideration as a trustworthy partner for Dassault.